In the Midst of Life (Robert Enrico, 1963) – Make Mine Criterion! A discussion of In the Midst of Life should start with Ambrose Bierce (1842-1913? ), an American journalist, short story writer, satirist, and harsh critic of injustice. “Bitter Bierce” served with the Union Army during the American Civil War, but found his experience horrific. 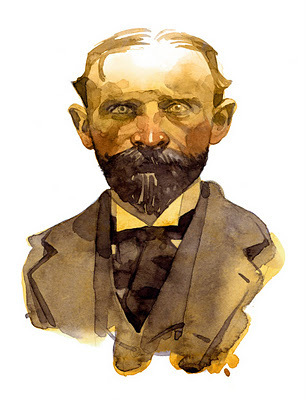 He wrote a series of brutal and harshly ironic short stories set during the Civil War, originally collected in 1891 as Tales of Soldiers and Civilians. A later collection including many of the same stories, In the Midst of Life, was published in 1898. Bierce’s work is most often compared to Stephen Crane’s The Red Badge of Courage, however many feel that Bierce’s stories eclipse the talent of Crane and that Bierce deserves a level of reverence comparable to that bestowed on Edgar Allan Poe. This comparison may be the most apt, as Bierce’s influence is most strongly felt the horror and suspense genres. French filmmaker Robert Enrico’s In the Midst of Life is a triptych of films adapting Bierce’s short stories. While I’ve seen differing orders for the films cited online, I believe the sequence presented here is the correct one based on the numbering on 2 of the 3 segments. First up is The Mockingbird, where a freak coincidence makes literal a horrific maxim associated with the American Civil War. (I’ll leave it at that, so that the most can be taken from the embedded film above). The following portion, Chickamauga, contemplates the nature of man to war with itself. A young deaf boy wanders through the devastation left by the Battle of Chickamauga, the worst defeat of the Union during the Civil War and the bloodiest after the Battle of Gettysburg. The boy’s inability to comprehend the ruination around him takes a perversely grim form, as Enrico contrasts the boy’s playful imaginings against the terrible reality he occupies. The final and most prolific part of In the Midst of Life is An Occurrence at Owl Creek Bridge, wherein a condemned prisoner escapes his execution and flees to his wife and home. Occurrence concludes with an infamous twist ending that is perhaps the most iconic example of Bierce’s work. Enrico’s In the Midst of Life features the hallmarks of Ambrose Bierce’s stories – his harsh view of war, his macabre imagery, his representation of subjective time. The film supports Bierce’s dark tone and nearly supernatural events with a moving, almost prowling camera, often placed at slightly disconcerting perspective just off eye-level, and an enveloping ambient sound design that isolates and exposes the listener. And watched in the provided order, Erico’s feature can be seen to escalate the subjective and fantastical elements with each constituent story. The full feature is something of a lost or unknown masterpiece. Shortly after being released as a feature-length film, In the Midst of Life was stripped into parts, each story being made to stand on its own as a short film. In doing so, An Occurrence at Owl Creek Bridge (aka La rivière du hibou) was quickly recognized as a master work, winning as Best Short Film at the 1962 Cannes Film Festival, Best Live Action Short Film at the 1963 Oscars and being picked up as an episode to the over-budget TV series The Twilight Zone. Both The Mockingbird and Chickamauga have fallen into the shadow of Occurrence, and In the Midst of Life has never been released for home viewing as a feature film. 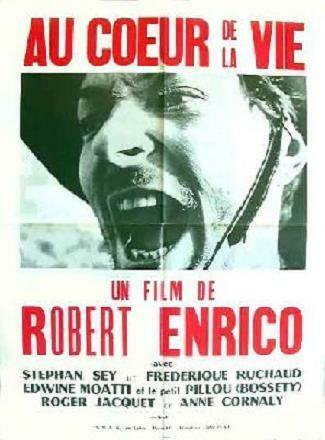 There is a school of thought suggesting that Enrico’s film is overshadowed by the New Wave which dominates any discussion of French film for this period. Enrico’s feature remains a masterpiece in its own right though, and is a worthy candidate to be saved from permanent obscurity by the Criterion Collection. 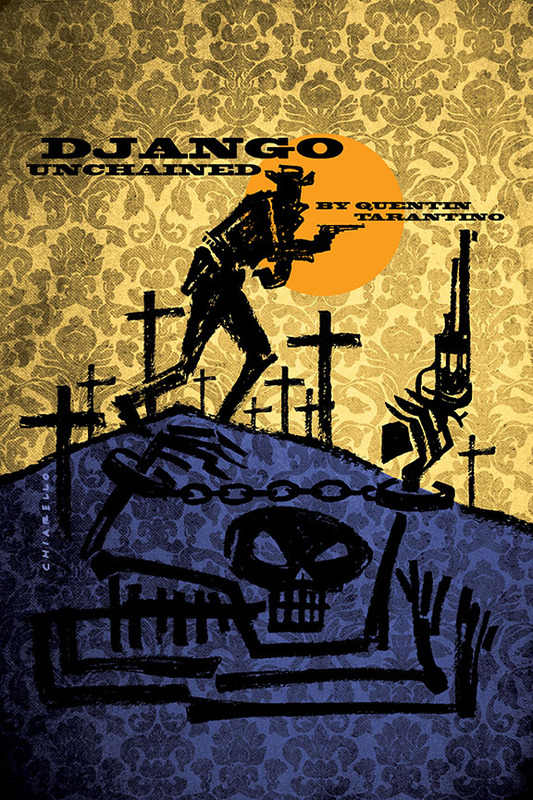 With regard to box art, I was convinced the moment I saw Mark Chiarello’s variant cover for Django Unchained #2 that he was perfectly suited to undertake a Criterion commission for an In the Midst of Life cover treatment. The contrast between the rough charcoal work and the wallpaper background is comparable to In the Midst of Life‘s competing spaces of prior domesticity (hoping to be reclaimed) and the charred destruction of the wartime present. The huge skeletal figure reaching out from beyond the grave likewise recalls Bierce’s tendency toward uncanny coincidences and his view of death and violence as inescapable. To his credit, Chiarello is an artist who is highly talented in a variety of styles. I’ve included this old-timey portrait by him to demonstrate the breadth of his technique, the bounty of related art potentially available (for the back cover, case interior, and booklet) and the possibility that Chiarello could produce something entirely new, unexpected and even superior to what is promised by his variant cover. Credits: The Film Studies for Free post on Enrico’s La riviere du hibou is an excellent starting point for those looking for information on Bierce, the short film and its legacy. Also of assistance was this page at The Fright Site. Richard Hand’s Reanimating Peyton Farquhar: The Adaptations of Ambrose Bierce’s “An Occurrence at Owl Creek” provides an in-depth review of Bierce’s most popular story’s adaptations and made him an easy choice to tap for a booklet essay. Marc Scott Zicree is a sci-fi, TV and screenwriter and a Twilight Zone scholar, having written The Twilight Zone Companion. The Dreaming Forward feature is entirely imagined. Bierce’s use of unreliable narrators, flashforwards and subjective time are his most significant literary contributions and they has been the subject of a number analyses, some of which are included in the Film Studies for Free post cited above. This feature proposes interviews with directors famous for using similar techniques, including J.J. Abrams who actually cites Bierce in the Lost TV series. Finally, French New Wave director Francois Truffaut famously teased Steven Spielberg for his admiration of Enrico’s work, so who better to give the first/last word on the film? This would be an absolutely awesome Criterion release!